Matt and I have been on a serious Chinese food kick lately. 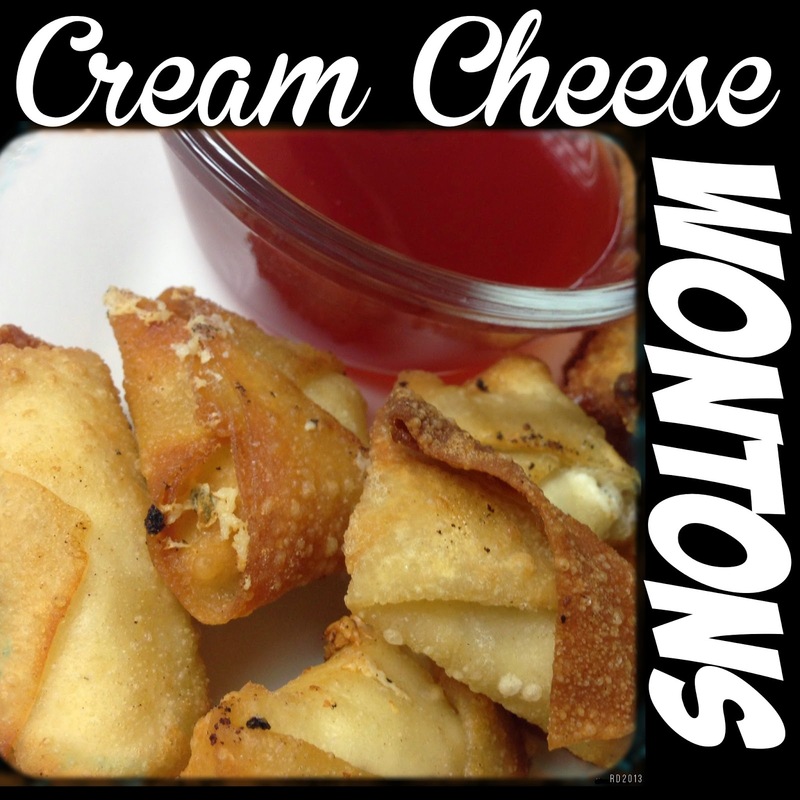 I love cream cheese wontons with sweet and sour sauce it’s so stinkin’ good! So we decided to make our own. Matt wanted to make a whole chinese food week, but then we got sick of chinese food after 2 days. These are very good and super simple to make. Enjoy! Now when you buy those wonton wrappers it has little diagrams showing you how to fold them super nicely and make them pretty, but we just had fun with it. However, I have a few tips for you. 1. Preheat the oil on medium to medium high about 2-3 inches of oil. 2. First you mix together the cream cheese, the green onions and garlic powder. I just used a rubber spatula to mix it all up. 3.Then you put about half a spoonful in the center of the wonton. 4. Then fold the wonton up, using a little water to stick it together. If you put too much cream cheese in the middle it will come undone in the oil so be cautious.